Can you TRUST the Marinwood CSD director and CSD Management? The Marinwood CSD has IGNORED community input for a massive maintenance compound that will cost taxpayers hundreds of thousands of dollars. At 4400 square feet, the sprawling design will replace existing facilities. It is being designed by former CSD Director Bill Hansell, who coincidentally hired Eric Dreikosen with a huge boost in pay from his previous employment. Now Eric is working with Bill Hansell to push through his design. In 2017, the Parks and Recreation Commission held an open forum on the facility and the room filled to capacity. Most residents had objections to the current facility and wanted to submit input. The PUBLIC HAS BEEN IGNORED. In 2018 only 3 residents were given access to a private presentation of Bill Hansels "Taj Mahal" maintenance compound facility. What happened to the "Public Input"? We only have 3 full time staff, a truck and several small vehicles and they can be easily be housed in less than 1200 square feet. Virtually EVERY COMMUNITY IN MARIN uses modest prefab structures for their landscaping staff. Not a single community devotes an full acre of prime real estate for their modest, utilitarian garages. Hansells design is over 150 feet long and spans two housing parcels. It is roughly 3 times the size of the average ranch style home that is common on Quietwood and Pinewood. The "Taj Mahal" maintenance shed is a comically large project which will be a source of ridicule and shame for decades to come if it is allowed to be built. At the very least the community needs to see "Story Poles" to see how much space is being sacrificed from Marinwood Park. The worst part is the long narrow design means that vehicles will constantly need to be moved inside the shed and a wide clear pathway running the length of the structure. There will be no room for material handling of gravel and dirt and debris and will still take place outside the facility. Ironically it was Bill Hansell, as Marinwood CSD director who argued for eliminating the maintenance department in 2014 and tearing down all of the facilities. Hansell will earn handsome fees for his impractical design in 2018. The Marinwood CSD has issued a notice of a public meeting to discuss the facility as is legally required only hours before comments from the public are due. It is a cynical attempt to keep public comments to a minimum. Furthermore, the Marinwood CSD is CANCELLING its July Meeting which I believe is to keep the public in the dark until the last possible moment. The Marinwood CSD board of the directors and Eric Dreikosen have displayed a contempt for the public process and is trying to dupe the public. While they are attempting to comply with the minimum legal requirement, they are violating the spirit of open, transparent government. Here is the notice of the July 26, 2018 meeting at 5:00 PM. The notice was sent on Friday, June 29th before the holiday and while county workers are on strike. Could the CSD pick a worse time for the public to attend? This should tell you about their intent to conceal information from the public. I had asked Eric Dreikosen, CSD Manager specifically about the submission of plans on June 12, 2018 for review. I specifically asked him if he was still planning submission by the end of June He was evasive and said no plans will be submitted prior to a public meeting. Two days later on June 15, 2018 he submits an 108 page document for environmental review. Is Marinwood Park for the people or is it for oversize buildings, construction materials, landscaping debris? We deserve GOOD HONEST GOVERNMENT that is open and transparent with the people. It is time for change. State Sen. Scott Wiener made waves for Senate Bill 827, which proposed to answer the housing crisis by overriding local zoning to allow more density built near transit. The bill died in committee in April, with Wiener saying “we started a conversation” (read: lost) and pledging to bring it back in a groovier form. Here’s what I hope the senator learned from the effort. Everybody knows that affluent low-density suburbs (cough, Palo Alto, Los Gatos) brim with chutzpah for refusing any new housing while the entire world gets evicted. SB827’s twist was that Wiener cast the bill as a bold stance to promote racial equity. My data geek pal with the nom-de-tweet Revolutionary Clown (also my silent partner in SPORC, our fake PAC for pro-tenant landlords) overlaid the SB 827 impact zones with census blocks to find the percentage of renters, of non-white people, and the median income in SB827-affected areas. Turns out the racial justice organizations were right. Areas affected by SB827 were in fact lower-income, less white, and more renty than California as a whole. Affected neighborhoods within counties were poorer, less white, and more renters than county average. According to RevClown, California is 39 percent non-white, but SB827-affected areas were 52 percent non-white. Statewide, 46 percent of units are occupied by renters, but 68 percent of the units in the SB827 areas. The state median income is $84,111, but the impact area is $78,008. In-county disparities were minimal in San Francisco because most of the city is less than a quarter of a mile from transit, but elsewhere it was stark. Tony low-density Marin is 21 percent non-white, 37 percent renters and with a median income of $119,598. But the Marin SB827 impact area was 62 percent non-white, 74 percent renters, with a median income of $75,961. Contra Costa County is 40 perecent non-white but the SB827 area is 61 percent white, with a median income almost 35 percent below the county average. Riverside is 37 percent non-white, but the SB827 area is 63 percent white, with a median income a whopping 60 percent below the county average. Similar patterns repeated across the state. Senator Wiener may have been incorrect to claim that SB827 would end historic racist exclusion. Maybe you don’t mind SB827 disproportionately affecting lower income, non-white renter communities more than their more affluent neighbors, because you heart massive homebuilding. But then don’t claim you’re doing something to address racism. You’re not helping people from San Pablo move to Moraga. Let’s assume you genuinely desire to promote racial justice via housing. You did a crap job. You didn’t understand how you might appear to affected communities as anything other than the latest in a long line of white technocrats brandishing studies while inflicting pain. By declining to consult with and incorporate the priorities of the people you said you wanted to liberate when drafting the bill, you—this is a technical term—pooped in the pool. You didn’t seem to get that the desire for local control in rich suburbs that always enjoyed it is different from the desire for local control in poorer communities of color that never had it. There is no path to racial equity that does not involve people of color as the architects of their own liberation. There is no corrective for historic structural racism that by design gives communities of color less control over their own land. If you want to draft legislation to decrease the power of affluent white communities to block housing while increasing the resources available to communities of color to determine their own fate, I am for it, even if the resulting policy is less lucrative than repackaging urban renewal and calling it racial justice. Nato Green is a writer and comedian. See him and Natahsa Muse riffing over TITANIC for Riffer’s Delight at the Alamo Drafthouse on Monday June 25. Send brunch invites @natogreen and technical questions to @revclown. ‘Build more homes’. That’s the simple solution trotted out to Britain’s claimed housing crisis. 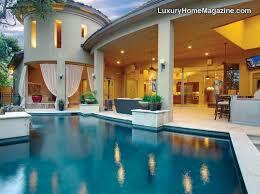 The crisis most often referred to is that homes are too expensive. Figures released by Nationwide yesterday showed although property inflation fell to its lowest level in five years – at just 2 per cent - the average home will still cost you £10,500 more than a year ago. It highlighted that when compared to wages property has only ever been pricier at the peak of the 2000s boom. And while there are parts of the country where property values are still below their 2007 peak, this does little to defuse the issue, as homes at that point were also very expensive. 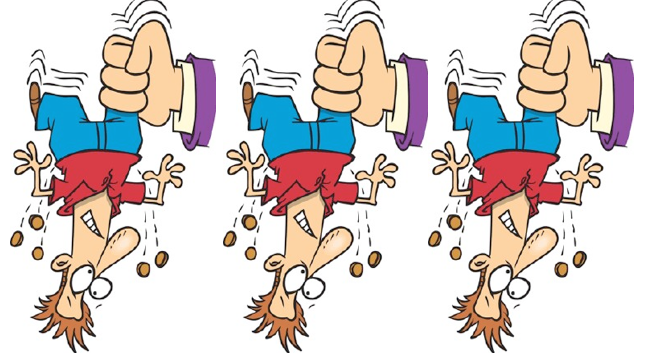 In the absence of real wage increases, it’s super-low interest rates that are keeping the property market afloat, but raising rates to lower house prices is not a medicine there appears to be much appetite for. Cutting off the supply of cheap money that has driven up house prices is not considered an option. The remedy lobbied for instead is for developers to pull their fingers out and get many more properties built, with the belief that if you build it, low prices will come. Except the answer is not that simple. The evidence of the past couple of decades is that building more houses to sell to the public doesn’t make them cheaper. And this week, the Letwin Review looked in detail at how developers deliberately build slowly so as to not bring down house prices. The dastardly practice of land banking is often fingered as the villain here, yet Sir Oliver Letwin did not conclude there is a problem of major housebuilders holding onto land until its maximum value can be realised. Nor did he say a shortage of workers, materials or infrastructure delays were particular issues on the large developments looked at - or that smaller developments help get houses built quicker. Instead, he highlighted that developers buy land based on local property values and build at a rate that won’t flood the market. The review looked at the build out rates – the time from planning approval to completion of the last home – on 15 large sites in areas of high demand and revealed a median figure of 15.5 years. About 6.5 per cent of the overall number of houses planned get built each year. This assumption is baked into developers’ business models and what the report describes as a ‘value-unaffecting rate of sale’ is used as an ‘absorption rate’ for large scale house building site. In layman’s terms this translates as build slowly enough that house prices don’t fall. In his analysis, Civitas’ housing expert Daniel Bentley points out that the Letwin Review suggest the problem is exacerbated by developments featuring lots of the same type of home. Mixing up styles, including architecture, interior design and landscaping, or tenure, such as social housing, build-to-rent, and self or custom-build could help get more homes built quicker. Letwin’s report’s remit was specifically to look at build out rate - not at lowering house prices - but it is a detailed study into why a ’just build more homes’ tactic won’t solve the problem of people not being able to afford to buy. In fact, check the statistics from the ONS – or just look at some property adverts - and you will discover that new-build homes are sold as a premium product. The average second hand home costs £221,000, while the average new build property costs £297,000. Of course, this may be because new-build homes are bigger and better quality than existing housing stock, but I’ll leave you to draw your own conclusions on that. What’s clear though, is that we cannot simply rely on building more homes under the current system to lower house prices. 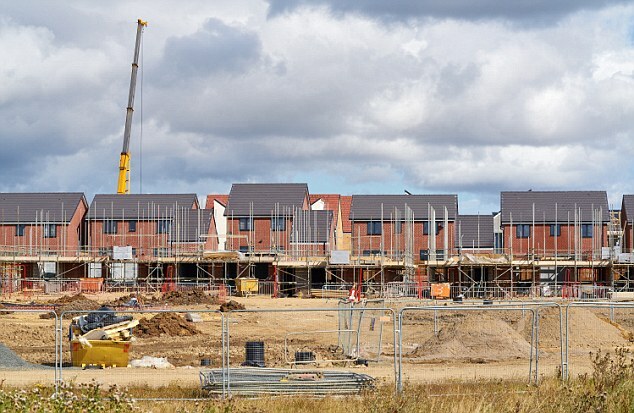 There needs to be a lot more discussion about this when the rallying cry of 'build more homes' is sounded, but it is vitally important at the moment, as councils across the UK are creating local plans by order of the Government. These will see land released from the Green Belt, justified by the argument that we need more houses to bring prices down. Whether you want more building or not, I’d advise you to check up on what your council is doing and engage with the issue, asking exactly how these new homes will reduce prices for local people. That’s not nimbyism – it’s looking after your back yard. 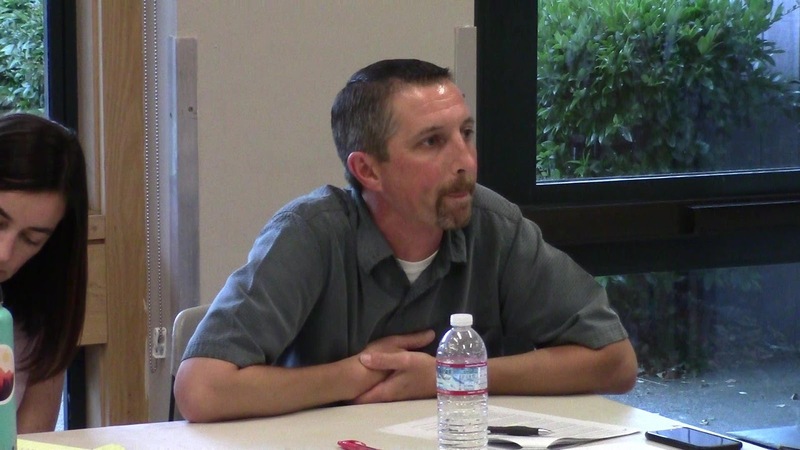 TELL SUPERVISORS: REBUFF MAPE'S DEMANDS. REPRESENT US! The Marin Association of Public Employees (MAPE)* is going on strike to force Marin's Board of Supervisors to give them an 11% pay raise! Their demands are excessive and lack accountability. Our supervisors vote on any contract. Tell them to reject MAPE's demands. And insist that Supervisors who have repeatedly accepted campaign money from MAPE -- Supervisors Katie Rice and Kate Sears -- recuse themselves from MAPE-related contract votes and negotiations. The only way the County will be able to meet the additional financial obligation resulting from MAPE's demands is by raising taxes and fees on Marin residents who, on average, earn less than County employees. “San Francisco, Boston and San Jose are in the same boat as Manhattan, where prices are sky-high, and the market is on fire, while El Paso, San Antonio and Memphis boast an affordability similar to Cleveland’s. San Antonio stand outs from the latter group with its thriving business activity, and the health and education sectors driving the economy in the area. The development pipeline is also robust, so San Antonio is definitely worth looking into, because with $200,000, you could buy a sizable 3,249-square-foot home there. We have done this to ourselves—we voted for a government that loves high taxes, bad regulations and creates policies’ that are adding tens of thousands to the cost of new housing, i.e. mandatory solar panels. Ready to revolt? Many say that location is the number one factor when deciding on buying a house, when in reality, it’s actually our finances. Realizing that with $200,000 you can only buy 126 square feet of living space in Manhattan, while in Cleveland you can get over 3,700 square feet, can seriously put things into perspective. The perfect home combines a great location with a good price and plenty of space; however, it’s really hard to land such a deal nowadays, especially in vibrant cities where the median home price is through the roof. Comparing home prices in major U.S. cities and seeing mind-blowing differences isn’t anything new, but there’s something about this topic that keeps us curious. This time, we looked at how much space one could buy for the approximate U.S. national median home price of $200,000 in some of the largest cities in the country. It turns out, not as much as you would expect in some places. While the results were indeed astonishing, we didn’t think there would be such a huge discrepancy between the most expensive and least expensive cities. So, if you’re in the market to buy a place with a decent floor plan, and which doesn’t involve winning the lottery, check out our rundown below. At $1,585, the median price per square foot in Manhattan is miles away from Cleveland’s ($53/square foot). We calculated that, for $200,000, you could buy a tiny 126-square-foot room in the borough, but it would be difficult to actually live in such a place. Plus, it’s highly unlikely you’d even find a listing of that size and price in Manhattan. At the opposite end of the spectrum, in Cleveland, for $200,000, you could buy more than enough space to enjoy, and then some. You could own a house so big that you’d be hosting fancy Thanksgiving and Christmas gatherings, with spare rooms for your extended family. San Francisco, Boston and San Jose are in the same boat as Manhattan, where prices are sky-high, and the market is on fire, while El Paso, San Antonio and Memphis boast an affordability similar to Cleveland’s. San Antonio stand outs from the latter group with its thriving business activity, and the health and education sectors driving the economy in the area. The development pipeline is also robust, so San Antonio is definitely worth looking into, because with $200,000, you could buy a sizable 3,249-square-foot home there. For the same amount, you could purchase a home ranging from 400 to 600 square feet in Los Angeles and San Diego or one as large as 2,000 square feet in Nashville or Orlando. Some might describe moving to LA as the American Dream, but you’d need a lot more than $200,000 to buy your dream house there. Orlando can be seen as an alternative to LA, with its pleasant climate, its nightlife and job opportunities—the one major difference being that the cost of living is considerably lower. Although major cities, the following are slightly more affordable than San Diego or LA. For $200,000, you’d end up with decent living conditions in Miami (835 square feet), Portland (773 square feet) and Chicago (1,102 square feet), but probably not in the neighborhoods you’d want. If you don’t mind the hot weather, Austin and Dallas are great candidates, but so are Atlanta and Charlotte. Atlanta, being a regional powerhouse with a healthy economy, is the most expensive city out of the 5, but also the most vibrant when it comes to entertainment. For $200,000, you could live comfortably in a 1,119-square-foot home in Atlanta or enjoy an extra 500 square feet if you prefer Charlotte. Everything’s bigger in Texas—and your house could be too! For $200K, you could buy a big house in Austin (1,341 square feet), and an even bigger one in Dallas (1,824 square feet). Both cities have their own charm, so choosing one over the other all boils down to personal preference. Looking at the data, it’s safe to say that if you’re in the market to buy a home this year, chances are that you’ll need to come up with a lot more than just the U.S. median price to buy a spacious home in one of the country’s high-profile cities, or a lot less, if you chose a more affordable city. Either way, one thing is for sure, you’ll sacrifice either space or location to stay within this budget. We used PropertyShark data to determine the median home size (square footage) in each city and 2016 U.S. Census data to determine the median home price. To calculate the median price per square foot we divided the median home sale price with the median home size in each location and used the rounded amount ($200,000) of the national median home price of $214,000, to determine how much space you can buy in each city. Marin Association of Public Employees (MAPE) is going on strike to force the Marin Board of Supervisors to give them an 11% pay raise! The Marin Association of Public Employees (MAPE) is going on strike to force the Marin Board of Supervisors to give them an 11% pay raise! Their demands are unprecedented and without accountability. Please add your name to the growing number of Marin residents, who are asking the Marin Board of Supervisors to say “No” to MAPE’s demands. Marin’s public employees are currently among the highest compensated employees in the entire U.S. (top 1%), even higher (7.8% higher) than San Francisco, where the cost of living is higher than in Marin. MAPE salaries impact the County’s future pension and benefits liabilities. The County’s unfunded pension liabilities are already between $700 million and $1.2 billion (estimates vary). The only way the County will be able to meet this financial obligation is by raising taxes and fees. PLEASE NOTE: Police, fire, emergency responders and court employees are not members of MAPE and are not striking for salary increases. Please forward this to others. Thank you. If Marin County Workers strike on their "Free Friday" will the public even know? About a decade ago, a colleague told me about a cool new initiative, something called “Exercise Is Medicine.” The idea made total sense to me: Rather than just tell my patients about exercising, I would hand them an actual prescription for exercise, just like the ones I give patients for high blood pressure or diabetes. The thinking behind it was that an official “doctor’s order” for exercise, in the form of a prescription-pad-style piece of paper, would be taken more seriously by patients than a mere suggestion. I quickly started giving out these prescriptions, going so far as to find some official-looking templates online and printing them out. I wrote out “dosages” based on each patient’s age and medical condition, and relying on evidence-based recommendations. ●Frequency: At least 3-4 days a week. ●Intensity: Exercise at a moderate level. ●Time: Exercise 30-60 minutes per day (all at once, or break it up into a few sessions of at least 10 minutes each). ●Type: Aerobic or rhythmic exercises using the large muscle groups (walking, cycling, swimming). Weights 2x week. We physicians often don’t have time during a typical office visit of 15 or 20 minutes to discuss ­lifestyle-related recommendations for improving health. Many of us tell patients, “You need to lose weight” or “stop smoking” or “exercise more” — but in practice we tend to skimp on the details. The exercise-prescription idea was supposed to help eliminate this vagueness by giving patients more-specific information to act on. ● Physicians in Vermont, for example, have been giving out prescriptions for hiking and, in general, spending time in nature. That idea’s getting picked up elsewhere, including South Dakota, Maine, California and New Mexico, and is supported by multiple studies showing that people who spend time outdoors see improvement in mood, energy, stress and general well-being, as well as some aspects of physical health. ●The American Academy of Pediatrics has promoted the ParkRx Initiative, which was started in 2013 by the Institute at the Golden Gate and the National Recreation and Park Association with support from the National Park Service. The initiative is intended to help doctors prescribe “nature during the routine delivery of health care” by, among other things, showing them parks close to where their patients live. ●Prescription programs for healthy eating have popped up in more than a dozen states, championed by hospitals and physicians’ offices, as a means of battling diabetes, obesity and other conditions associated with nutrition. For example, a Chicago program called Food Rx pairs “doctor’s orders” with food coupons and information about community resources. Such interventions are known as “social prescribing,” in which health-care professionals are asked to identify and recommend interventions outside the exam room or hospital that might help patients adopt healthier lifestyles. These efforts highlight what are called the social determinants of health and the recognition that social factors — including where you live, what you eat, how active you are, your access to health care, your income level, etc. — can be more important to your health than medical factors such as genetics. Addressing these social determinants, studies have shown, may, in fact, be more effective in managing chronic conditions and prolonging life than medications and other clinical interventions. The social prescribing trend focuses not only on food, exercise and housing, but also on “softer” activities such as making art, singing, participation in social gatherings — and their presumptive benefits on well-being and social connectedness. That’s because loneliness is also increasingly being thought of as a social determinant of health that is linked to physical- and mental-health conditions and even early death. In Britain, social prescribing is sanctioned by the National Health Service and is being embraced by primary-care physicians who send their patients to community-based organizations and activities in response to an increase in lifestyle-associated conditions (including diabetes, obesity, heart disease) and social isolation. Isolation is rising in Europe. Can loneliness ministers help change that? Research has shown that such interventions are helpful, some more than others. There is irrefutable data showing that exercise is good for you, regardless of your age, gender, physical abilities or medical conditions. And there is beginning to be ­more-robust evidence for benefits from spending time in nature, dancing, singing, engaging socially and keeping your brain active. And yet, as I consider the science, I ask myself: Does the act of actually prescribing these activities make a difference in patients’ lives? Are they more likely to act on these recommendations when packaged as an official-looking Rx? The evidence on that is less clear. The literature on writing prescriptions for exercise shows that it may help more doctors discuss and recommend exercise (which is, of course, a good thing). But evidence that it is improving patients’ health is not really there. The practice of social prescribing faces another kind of challenge, which I see firsthand. As a family physician who works with both affluent and poor patients, I realize that my use of this approach has exposed deep inequities in their access to resources. On the one hand, I get professional satisfaction from recommending hikes in Rock Creek Park, running along the Mall or singing in a chorus (partly because of the evidence and partly because those are activities I do myself). But can I really ask a patient who works two jobs and cares for her children to find 30 minutes a day to squeeze in a walk in a park? Or a patient who lives in an unsafe neighborhood to take a daily jog around the block? Or one who has no car to take two buses to get to an art class on the other side of town? As for how successful my social prescribing has been, so far it’s too small a sample size to have statistical meaning. But from a purely anecdotal standpoint, I will admit to mixed results so far. Some patients have reported back that they had taken my recommendations to heart and begun to change their lifestyles. Others shoved my prescription in their bag and probably never looked at it again. I’m waiting for a big study or two to show me whether this trend can make a difference. Many trends begin as great, well-intentioned ideas. Before we start proselytizing, we need to make sure that the resources are there, that the evidence of benefits is there and that we, as physicians, are well trained in how to push a change without causing any harm. Correction:An earlier version of this story misidentified the organizations that launched the ParkRx Initiative. But “nothing works,” because not everything has been tried. A healthy market, whether housing or asparagus, has a balance between supply and demand. In each of these cities, the demand for houses far outstrips the supply. 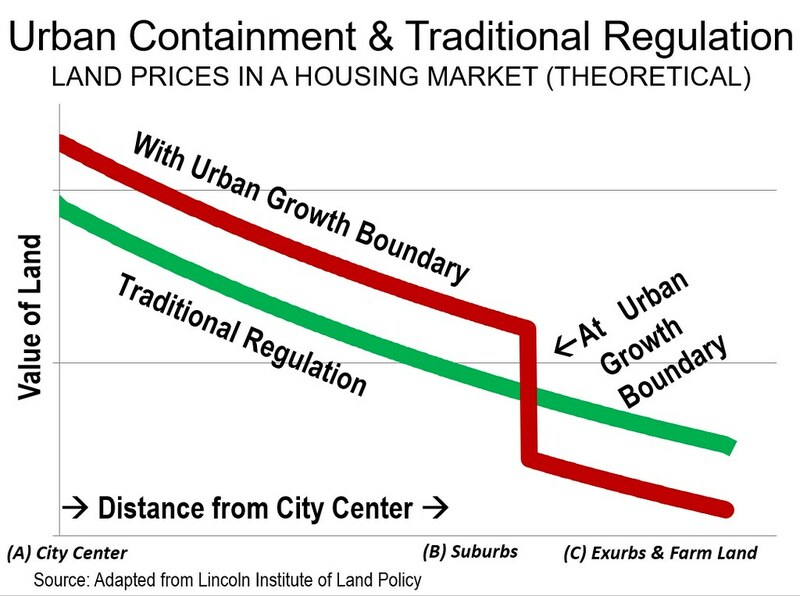 Yet, the cities have studiously avoided the obvious supply side policy that could restore housing affordability — repeal of urban containment policy, and its destructive urban growth boundaries (UGBs). Some suggest “intensification” — redeveloping neighborhoods with higher densities, especially with apartments and high rises. The prospects are anything but encouraging. Intensification is likely to have little effect on affordability since the “floor” of urban land values is controlled by properties bordering the inside of the UGB (Figure). At most, only modest value reductions would be likely from subdividing existing lots (Note 2). At the same time not all housing is the same. Researchers at Toronto’s Ryerson University attributed house price increases, at least in part, to a mismatch between the single-family ground-oriented housing that households prefer and the higher density houses planning regulations require. Houses are not commodities — households have specific and varying tastes. And, many will resist being socially engineered into the smaller houses the planners want. 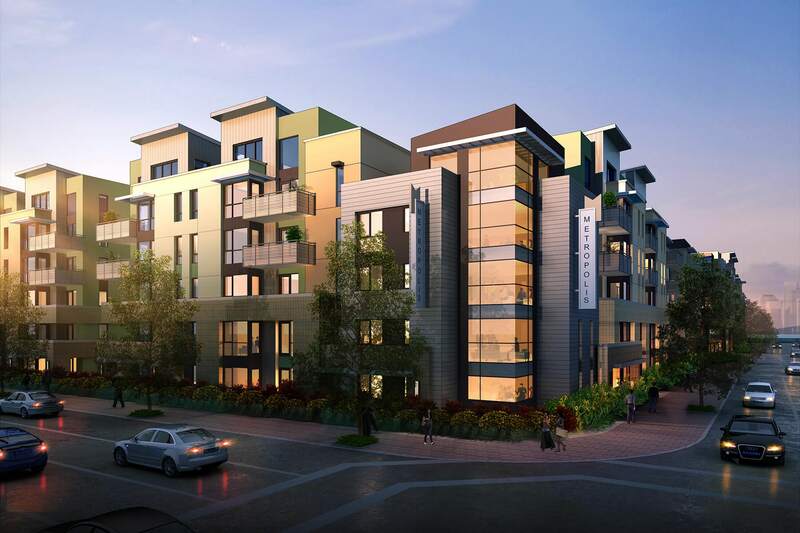 Finally, wholesale redevelopment could energize neighborhood opposition, as led to defeating an intensification proposal in California this year. No — blaming Chinese buyers is a diversion. Buyers seeking profits are not to blame, whether Chinese, Russians, other foreigners, or other domestic or local buyers. The fault lies with the governments that virtually invited investors seeking huge profits. The globalization of real estate markets by the internet just makes things worse. Given all this, efforts to shield local residents from the horrendous house cost escalation are laudable. But more is needed than headlines — results are needed. In Vancouver and Toronto, foreign buyers taxes had some positive impact in the most expensive sector (detached houses). But prices in the middle of the market continued to race well ahead of incomes. The crisis is in the middle of the market and even worse below. Of course, the cities should have considered the economic folly of urban containment before “jumping over the cliff.” But things are likely to only get even worse until UGBs are removed. The misguided policy priorities need to be corrected. People — their standard of living and lower rates of poverty — are more important than the urban form. The Marin Association of Public Employees (MAPE) has gone on strike against the County of Marin and is demanding enormous, guaranteed salary increases over the next three years – a total of 11 percent. Many are asking if this magnitude of increased pay is “fair” to Marin taxpayers. Well, fair is a subjective standard. What I’m wondering is if MAPE’s demands are even tethered to reality in any way, shape or form. As a preface, I want readers to please understand that this article is not about our courts system’s employees or our Sheriff and fire departments or other public agencies that provide critical public services and who are generally delivering excellent levels of service. This is directed at MAPE’s members, who are the “rank and file” working in the various administrative departments at the Pink Palace. The rationale for MAPE’s outsized demands are that Marin is such an expensive place to live. This is in spite of the fact that members of MAPE are presently among the highest compensated public “servants” in the country: in the top 1 percent nationwide and higher than those in San Francisco, where the cost of living and housing prices and rents are considerably higher than Marin. …research shows that 90 percent of MAPE-represented job qualifications have a pay range that is, on average, 7.8 percent above several other cities and counties, including San Francisco, San Mateo, Napa, Sonoma, Solano, Alameda and Contra Costa. In addition, it has been reported by numerous sources that the combined salary and total benefits compensation packages for MAPE’s County employee members (salary, pension and healthcare benefits for life) are much higher than for comparable jobs in the private sector. Nationwide, average local government wages were 10 percent below private-sector workers. In Marin County, however, local government received an average wage that was 13 percent above what Marin County private-sector workers earned. More significantly, Marin County government workers also receive significantly higher non-wage benefits than the average private-sector worker. The average annual salary for a working adult in Marin is $64,210. However, the average annual current salary for a MAPE member is $89,060. That’s a base salary that is 38.7 percent more than the average working person in Marin! And, on top of that, the average total compensation package for a MAPE member working for Marin County is currently over $126,000 per year! And, that doesn't even take into account that they get a guaranteed 2% to 3% cost of living increase (COLA) on their pension benefits, based on their salary, later on. This considered, a reasonable person has to wonder on what basis is MAPE making these egregious demands to become, perhaps, the highest compensated public employees in the country. Is it based on individual performance or excellence of services rendered? Is it based on a comparison to how much the average worker in the private sector (those who will pay for their increased salaries) makes for the same jobs? Is it based on actual cases of hardships or other objective data? Or, is it simply, as we used to say, just highway robbery? Speaking only for myself, frankly, no, not even close, when compared to experiences in the private sector. So, let me turn the question around to MAPE members. If you want to be the highest paid public sector employees in the country, don't we, who pay your generous salaries and benefits, have the right to expect our "customer" experience to be the best in the country? And, until you demonstrate that, why should we agree to increase your compensation, when no company in the private sector would do the same? Anyone who has ever started or run a successful business in the private sector knows that simply throwing money at people and hoping they do a good job never results in better overall performance, or more innovation or a better working environment. In fact, throwing money at people correlates pretty consistently with mismanagement, scandals and business failure. The secret to attracting the best and the brightest is basically about being the best at what you do: providing the best products and services: being the place where everyone wishes they could get a job. When you create that, when you demand that, ironically, what happens is that your resultant success allows you to pay and compensate your people really well. 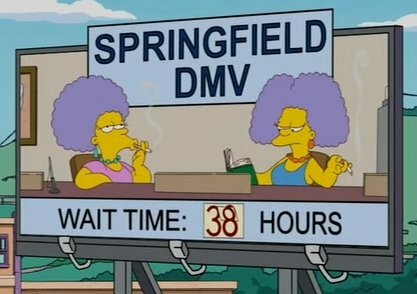 In some ways, I can hardly blame County employees, considering the drab environment where they have to work. The Marin Civic Center may qualify as a “World Heritage Site,” but that’s about all it has going for it. Don’t get me wrong, having spent most of my professional career as an architect and having been a lifelong fan of Frank Lloyd Wright, I appreciate the art of it all. But, let’s face it, the Civic Center in the context of the 21st century, is a total disaster: and I’m not just talking about the roof leaking. The building is a dystopian mausoleum. The offices are cramped and design layouts are obsolete. The heating and ventilating systems are archaic: the air in the offices is stifling. The acoustics are terrible. The food service is horrendous. Electronics and lighting are totally inadequate or just plain awful. The Board of Supervisors chambers may be the worst offender. Tucked away in the far corners of the upper most level, as far from the daily comings and goings of the public as possible, the low ceiling-ed public hearing room with its almost inaudible sound system constantly challenges occupants to stay awake. This is not unimportant nitpicking. There has been a great deal of research done in the past few years showing that the quality or lack of quality of one’s workplace environment directly correlates with poorer performance and diminished mental and physical health. In a word, I find the whole place just plain depressing. It needs a major remodel. In the year leading up to the NASDAQ market crash of March of 2000 and the years leading up to the global, financial meltdown of 2008, Marin County and many other government bodies made the mistake of extrapolating conditions at the moment, ad infinitum. Everyone was overly optimistic and “What, me worry?” was the operative sentiment. The results have been a disastrous drain on public funds ever since, leading to numerous municipal bankruptcies. In both instances, elected leaders gave away the store in their negotiations with public employees, offering unsustainable salaries and pension benefits with unrealistic cost of living increases and retirement promises that have continued to consume greater and greater percentages of local government’s overall revenues. Because of this, as the Citizens for Sustainable Pension Plans have so carefully documented, the future of pension costs does not look bright, even if all goes perfectly according to plan and the business cycle is magically repealed. But, how likely is that? While the stock market continues to make new highs and consumer sentiment rises, the telltale signs of recession again loom larger by the day and evidence that our economy is becoming more fragile, increase. Stock market margin debt is at or near the highest it’s been in history (the market is rising on borrowed money more than on real investment). Forward-looking price to earnings ratios for the average equity are in an historically high range. Single family housing prices continue to rise and set new highs, but on rapidly decreasing volume of sales. The news is filled with stories of how unaffordable it is to live in the SF Bay area, while rents in San Francisco have actually been falling for more than 18 months. Meanwhile, trade wars loom, interest rates are rising, new business formation continues to fall, the deferred costs of infrastructure maintenance continue to accumulate, tax cuts only help the wealthy, unfunded pension liabilities continue to rise and the anticipated returns on investment used by pension fund managers, required to make those huge pension payments, continue to remain ridiculously and unrealistically high. I guess some people never learn, because from what I can see we’re about to do it again. Why is it that historically, just at the moment we should be starting to be cautious, society tends to throw caution to the wind? All things considered, here is my two cents on how the Marin Board of Supervisors should respond to MAPE’s demands. So far, MAPE has demanded an 11 percent salary increase across the board over the next three years. The BOS came back with an offer of 7 percent. MAPE refused to even discuss it and went on strike. “Nothing. No raise in salary or benefits. Our original offer has been withdrawn. “We suggest you all shine up your resumes and wish you all the best of luck finding a job out there in the real world, where you can have an equally low bar of performance and receive such enormous benefits and a lifetime of financial security. “I’m sure there are thousands of young, college educated workers coming into the workforce, who would jump at the chance to work in beautiful Marin, to enjoy a six figure compensation package, and who will bring much needed energy and creativity and a fresh perspective on how government can better serve the public, who pays their wages. And, in case anyone thinks I've written what I have because I'm against unions, nothing could be further from the truth. I'm not against unions and a fair wage. What I'm against is as old as history itself: greed. In my own town of Mill Valley, I’ve witnessed firsthand that this approach to hiring has only led to scandals, malfeasance, and an enormous waste of public resources.